When it comes to cheese, Croatia is most definitely not France. There are just a few, distinct Croatian cheeses made there, but they are made extremely well. This is why is was quite exciting to find Paški sir in my local Whole Foods Market. Upon discovering that this lovely cheese was available in the US, it was important to note that the ‘š’ became an ‘s’ and ‘Pah-sh-ki’ became ‘Pass-ki’. Regardless, the cheesemonger girl told me that it had quickly became of one her favorites. Any why not? Grown on Pag Island, in the furthest reaches of Northern Dalmatia, the sheep whose milk produces this cheese are very happy sheep. While Pag itself is overall dry, it’s surrounded by the glimmering waters of the Adriatic and the land produces many aromatic, scrappy types of vegetation upon which the sheep feed. All of this gives the cheese its special flavor. 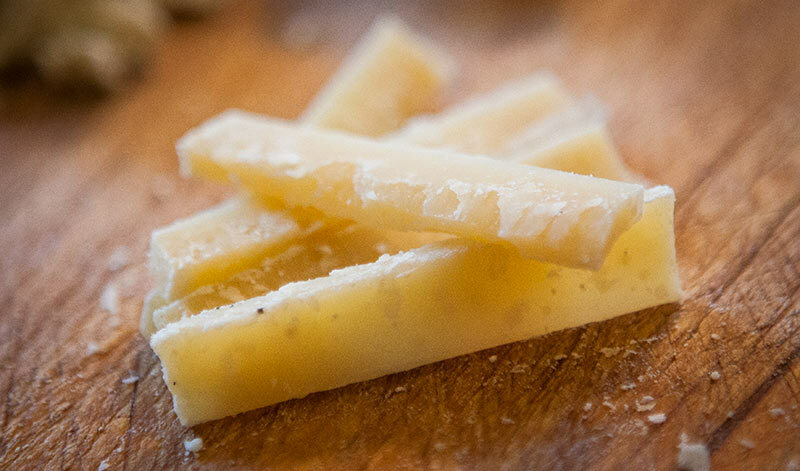 The cheese itself is rather mild, somewhat like a mellow Parmesan, but at the same time, it has an underlying nutty, salty quality to it that pairs so incredibly well with wines such as Plavac Mali, you’d think that the two were bred specifically for that purpose. It is most definitely best when had in Croatia, but travels relatively well and I’d recommend picking some up if you can find it to enjoy on a warm summer night. How can I contact some dairy on the Pag Island? I would like visit a dairy for two or three days, as a stage, but I don’t know the dairy contact. That’s difficult. You’re probably best just finding the address of a dairy and stopping in. The Dalmatians, while extremely bad with communication, are extremely good with hospitality, especially if you visit outside the tourism season. (I saw it via the page devoted to Paški sir: https://www.facebook.com/pages/Paski-sir/22922950778). Good luck!